6 bedroom Colonial style long pillar house in an area of 6550 Square Feet (609 Square Meter) (728 Square yards). Design provided by Arkitecture studio, Calicut, Kerala. Ground floor : 3550 Sq. Ft.
First floor : 3000 Sq. 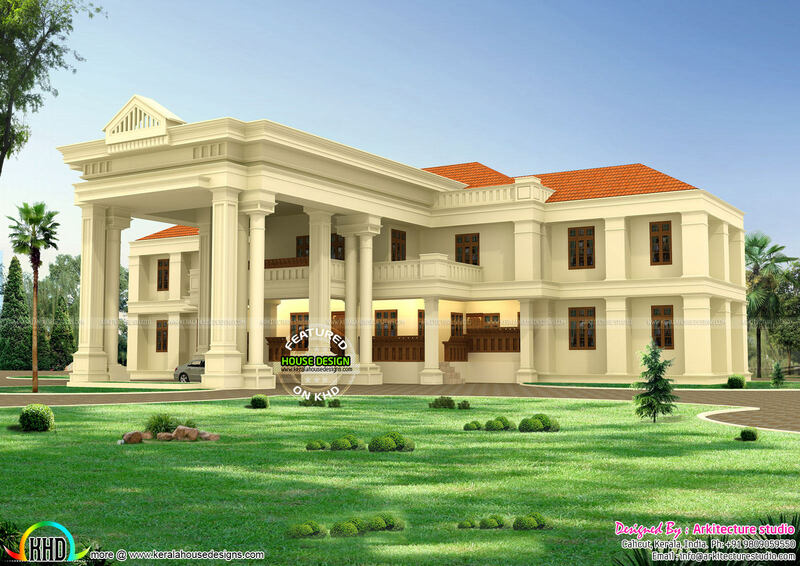 Ft.
0 comments on "Long pillar colonial home design"